One of the easiest defects to identify on onions, are visible sprouts. As the onion comes out of dormancy, it begins to grow, or develop a sprout. These fresh, light green to green sprouts are always a defect, and could very well be a serious damage defect. The scoring guidelines are fairly straight-forward. 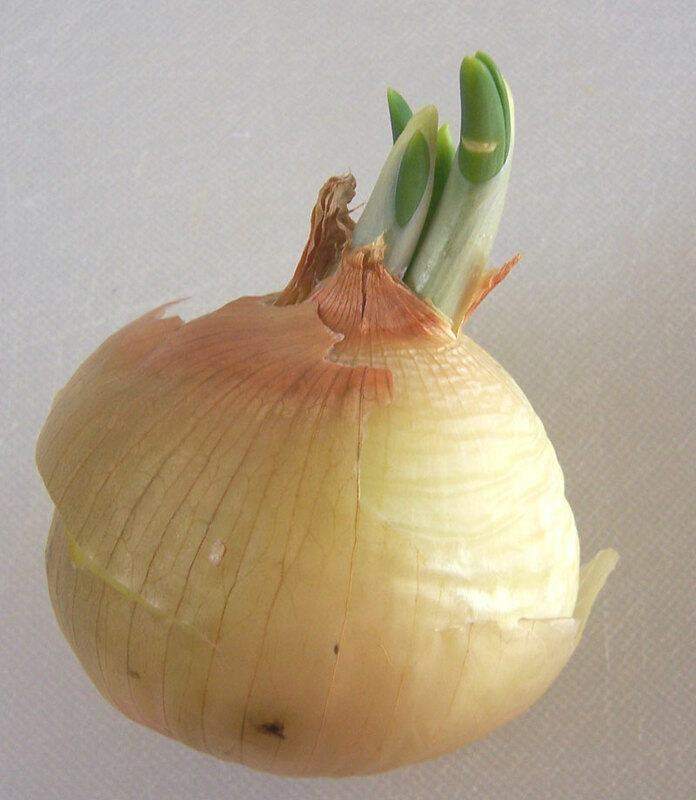 If you can see the sprout, without peeling back the top, the onion is scored as a defect, damage by visible sprouts. Depending on the type of onions you are inspecting, the tolerances vary. If you are inspecting (U.S.) northern grown onions the tolerance for damage defects is only 5%. If the you are inspecting BGG Onions or southern onions, then you are allowed up to 10% damage defects. If the sprout is longer than 1/2 inch (measured from its tip back to the point where the sprout emerges from the bulb into the neck) then the onion would be scored as a serious damage defect. There are no restrictive tolerances for serious damage in either U.S. Grade Standard for Onions, so you would still be allowed either 5% serious damage by visible sprouts for the northern onions and 10% serious damage by sprouts for BGG Onions. If the sprouts aren’t visible, as they may concealed within the dry top of the onion, you are allowed to peel back and look for the concealed sprout. If you find one, the concealed sprout is allowed to be up to 3/4 inch in length. Any longer, and the onion is scored as a defect, damage by concealed sprouts. Concealed sprouts are never scored as serious damage, no matter their length. 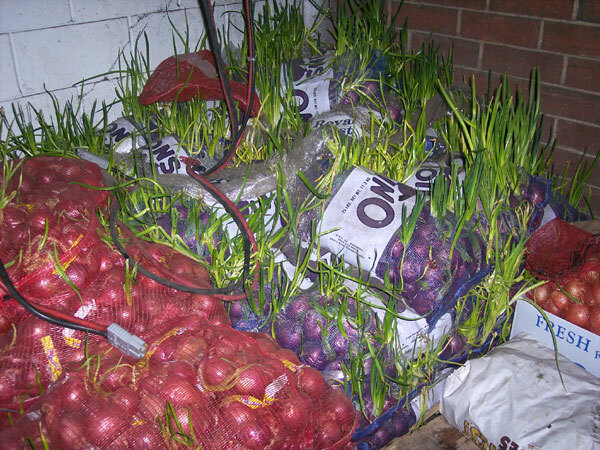 Remember to keep a lookout for the sprouts, as you would hate for your onions turn into a sprout farm, as shown above.